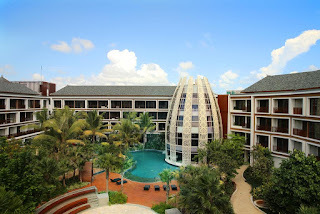 Golden Tulip Jineng Resort, Bali is 4 star hotel in Kuta boasts a very convenient location in the heart of the modern city, close to all touristic attractions and offices. Jl. Sunset Road, Kuta, Bali, Indonesia, 80361.